Our staff can bring back the hygienic and presentable state of your bathroom by sanitising it from top to bottom. They use suitable preparation for each surface and have the required skills and practice to provide professional bathroom and toilet cleaning and disinfecting. We can save you hours of hard and tiresome work and a lot of time. Use our professional and cost-effective bathroom cleaning services available in Notting Hill, W11 and you will get the desired results. Our cleaners work during weekdays, weekends and bank holidays without any surcharges. 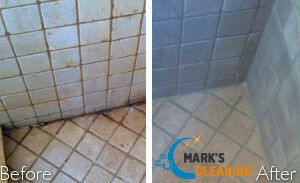 You can rest assured that the mould, cob-webs, limescale, germs and bacteria will be effectively and completely removed from all dirty surfaces in your bathroom and toilet. Our employees have been trained and qualified to sanitise tiles, shower areas, sinks, tubs and cabinets using the most suitable preparations. They use protective gloves, brushes, sponges and cloths to scrub, brush and wipe all bathroom surfaces and make them glow of cleanliness. All allergens, soap and shower products residue, limescale, mould, smudges and stains will vanish from the mirrors, sink basins, showers, baths, tiles and counters. We guarantee you impeccable results of our bathroom cleaning suitable to be used in Notting Hill and nearby by proprietors and renters. 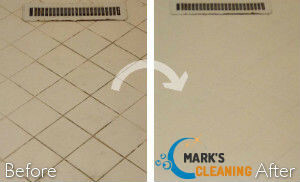 Our services are effective and ensure perfectly washed, cleaned and rinsed floors, walls, sinks, shower cabins and bathtubs. They are suitable to have your bathroom and toilet disinfected and washed in depth after some time being used. Regularly done rinsing and wiping of your bathroom isn’t enough to remove build-up of mould, limescale, smudges, stains and bacteria. Let our qualified cleaners take care of the hygienic and wholesome state of the bathroom and toilet in your home, rented or commercial estate. Call us to specify what to be included in your bathroom cleaning and our company, located in W11 will prepare you a quotation.